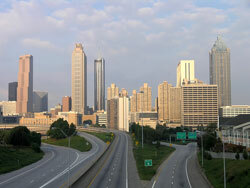 If you’re searching for storage units in Atlanta, Georgia, look no further than Bulldog Movers. We’re located right here in the A on Defoor Hills Road Northwest, and we have plenty of storage space available. Our facility can accommodate all your storage needs, no matter the number of items you would like to store or how long you’ll have to store them. In addition to having a large Atlanta storage facility, Bulldog specializes in providing residents throughout Atlanta and the Peach State with professional moving and relocation services. So, when it comes time for you to empty out your storage unit with Bulldog, we can safely transport your belongings back to your home, apartment, or office building. If you’d like to find out additional information about Bulldog Movers and all of the Atlanta storage units we have available, please call or e-mail us today. We’d be glad to provide answers to any questions you happen to have for us.